Technology can be a wonderful thing, and shipping is seemingly engaged in perhaps its biggest leap forward since steam replaced sail. 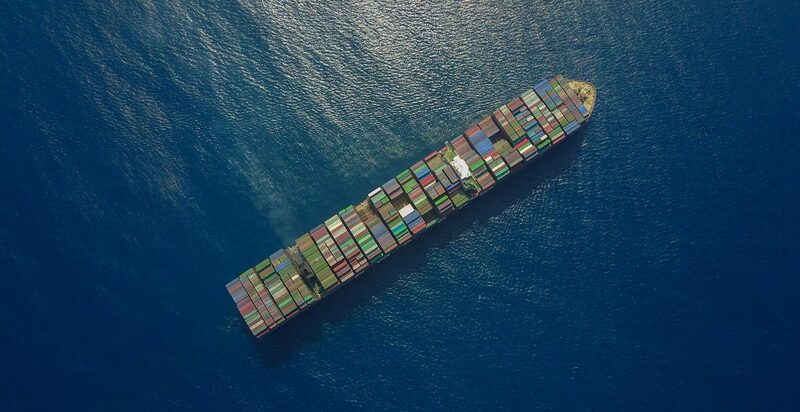 It is almost impossible to avoid the debates surrounding technology in shipping, and from big data and the blockchain to autonomous ships, there is an immense amount going on. From the ISWAN perspective, we of course must consider and understand the potential impact on seafarers. As wearable technology emerges for use at sea, we need to consider the role, future and impact on seafarers. Asking what is possible, what is likely and seeking to understand the drivers, benefits and potential problems for seafarers, shipping companies and the industry alike. What is ‘wearable technology’? Well, the clue is very much in the name – but it can include an incredible array of options. Wearable technology is a blanket term for electronics that can be worn on the body, either as an accessory or as part of material used in clothing. There are many types of wearable technology, and some of the most popular devices are activity trackers and smartwatches. One of the major features of wearable technology is its ability to connect to the internet, enabling data to be exchanged between a network and the device. The ability to both send and receive data has pushed wearable technology to the forefront of the Internet of Things (IoT). Wearable technology has become more popular in society ashore as smart phones, mobile applications, computing, and broadband connectivity have gained market traction. A growth which has many now looking at shipping and pondering how performance and monitoring at sea can utilise the technology. An entire industry devoted to the development of applications that can work with wearable technologies has rapidly developed and caught on with a trend where people began seeking new personal insights through real time data collection – often expressed as big data analytics. Activity trackers represented the first big wave of wearable technology to catch on with the help of social sharing. Then more robust tracking functions and processing power evolved. The technology is developing constantly and rapidly, from trackers and smart watches, we are now seeing smart clothing and even implantables, devices which are placed into bodies. Today, Amazon uses the technology to track workforce movements, logging time and checking in and out. While, perhaps slightly more positively, Volkswagen's introduction of 3D glasses to factory workers increased efficiency by showing all necessary information to employees in their field of vision, such as storage locations or part numbers. Wearable technologies can provide companies with new opportunities, especially around data collection, monitoring and performance management. Though just how companies use the data gleaned from wearable technologies will have to sit alongside the views of as regulators and of how individuals seek to manage their privacy. How too, will this translate into shipboard life? This is where things get rather more complicated and need to be very carefully considered. From the seafarer’s perspective there will likely be concerns. PricewaterhouseCoopers (PwC) recently carried out research with over 2,000 working adults in the UK to find out how willing employees would be to use a wearable device provided by their employer, and how the data gathered could be used to benefit both the employer and their employees. Despite the explosion of the use of wearables, and the fact that working people are keen for their employers to play an active role in health and wellbeing, the uptake has remained stubbornly consistent. PWC found that people are still reluctant to take a device from their employer and share their data. A lack of trust was cited as the primary reason for this. It is likely that seafarers would mirror this reticence and express similar concerns. PwC states that 65% of employees felt that technology has a role to play in their health and wellbeing, while 61% of employees are keen for their employer to take an active role in their health and wellbeing, and this rises to 73% amongst 18-34-year olds. It was found that only 45% of employees felt that their employer does play an active role. In addition to the fact that many felt their employers weren't engaging on health and wellbeing, 38% reported not trusting their employers to use the data they collect to benefit the employee. However, a rather surprising almost a quarter of employees who did not trust the employer would be willing to share data if there were sufficient incentive. Ashore, such incentives were quoted as increased pay or flexible working. Perhaps we are missing the point in expecting the current generation of seafarers to resist? The future of wearable technology is about just that, the future. According to PwC, 25% of people would be willing to have a chip fitted which could act as a passport, act as payment and monitor health. However, 70% of over 55 year olds resisted the idea. So, if there is a future for implantables, then it is in the younger generations of seafarers who are now coming through the ranks. The issue of wearables and of monitoring seafarers is a hugely important issue for the future, one which ISWAN members will have to wrestle with. Will the ability to monitor health and wellbeing outweigh privacy concerns? Will issues such as GDPR impact flag states and mean whole new layers of legislation, or mean more innovative and flexible innovations when it comes to regulation? So, we need to ask, will the technology make life better for seafarers? Will it mean safer, happier, more productive lives at sea? The challenge for the industry is to make shipping more productive, but that should not be to the detriment of seafarers. The potential is there, but so too are the risks. If you are an existing ISWAN member and would be interested in taking this issue further, please get in touch with roger.harris@iswan.org.uk to express your interest. We also encourage seafarers who contact us to share their thoughts and views, anonymously if necessary, so we can hear what you think on the issue of wearable technology for seafarers - contact us here.